The time is here! We're finally on our way to go to Sweden to celebrate Christmas. 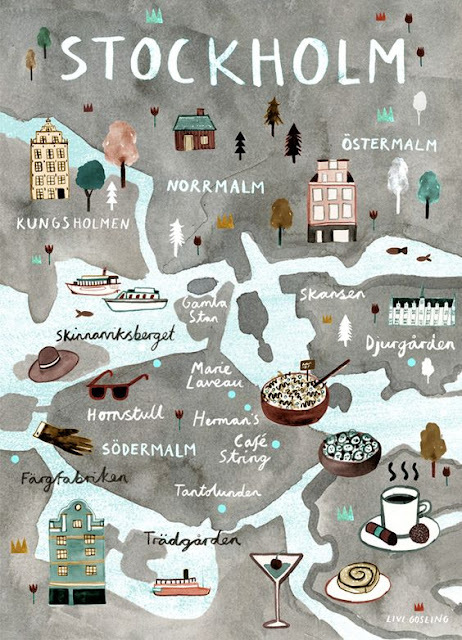 We won't stay in Stockholm, but we will visit the city several times while we're there. I'm so excited to go and quite frankly, I can really use a vacation. This will be my first time ever spending Christmas out of the Country. Glad it is a true winter wonderland country! Too bad it won't be snowy white. Always like to try out new foods of the country that I'm visiting and Sweden won't be an exception. I even picked out a restaurant in Stockholm already! Also, can't wait to hear them speak! I met Hannah from Stockholm on the Women in Technology Conference in Amsterdam and she taught me a a few words. All I remember is: "Hej! ".